The most-recognizable building, at Bletchley Park, is the old country mansion. This photo, by Matt Crypto, depicts the mansion which still stands. Click on the image for a better view. At dawn, on the 1st of September 1939, Nazi Germany invaded Poland. Warsaw fell, the Poles destroyed their Enigma machine and the three key code breakers fled. Others, who were part of Polish efforts to understand and break Enigma, were not so fortunate. Despite torture, none of the Poles ever revealed that they had broken Enigma (or knew anything about it). The Brits now had to take what the Poles did ... and run with it. Stewart Menzies, of Britain’s MI6, was in charge of putting together a team who could break Germany’s Enigma codes. The task was utterly daunting. Although Menzies had the work of Polish code breakers, who’d figured-out how the machine worked (and built replicas of it), no one was able to read and understand current German dispatches. In a way, although computers did not exist in 1939, it was like having a computer which couldn’t produce any work. Of what use is the machine (hardware) if it can’t be used (software)? On the 15th of August, 1939, about 180 GC&CS people made the move from London to Bletchley Park. By the end of 1944, around 10,000 people were working there. “Huts” - separate working units - were setup for different code-breaking teams. Such an approach was needed because although the entire German military machine used Enigma to send/receive coded messages, each branch of the military operated its machines differently. Different huts were concentrated on different aspects of the Enigma Codes. 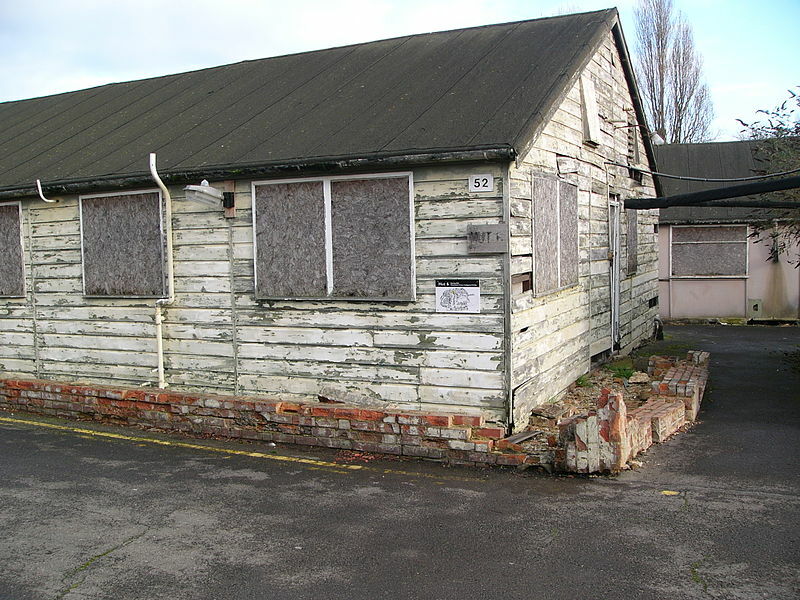 Hut 6, for example - seen here, in a state of disrepair, in 2004 - was focused on the Luftwaffe (German Air Force). For the code breakers working at Bletchley Park, the job was like looking for something in a dark room but not knowing, at all, what one is looking for. Making difficult matters overwhelmingly worse, the odds of cracking the code were staggeringly high. Everyone, who joined the code-breaking team, knew those facts going in. Bos, Carole "BLETCHLEY PARK and STATION X" AwesomeStories.com. Dec 31, 2014. Apr 18, 2019. Is Keeping a Secret Easier in Times of War?